If boys learn math in a fun and enjoyable way, the learning will stick! Pick some really fun math games, and start playing a few of them so your boys can actually enjoy math. Math! I can hear it now . . . groans and maybe even a whimper or two. Those who love it can’t understand how others could hate it. Those who hate it certainly don’t want to pass that “hate” which may even be fear, on to their sons. Let’s try this instead . . . play math games. I know it sounds too simple to be true but keep an open mind! It really does work. We are constantly working on math in a natural and relaxed way in our house. 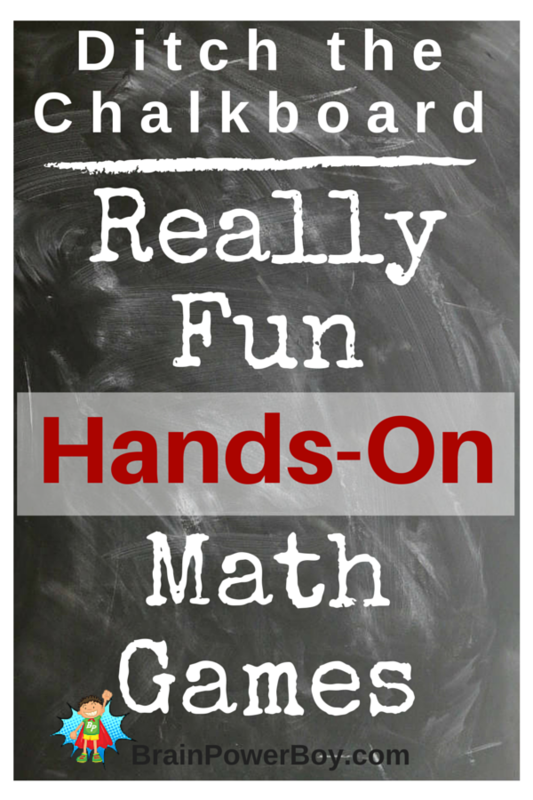 To do so I try to find hands-on math games that are fun with a learning twist. 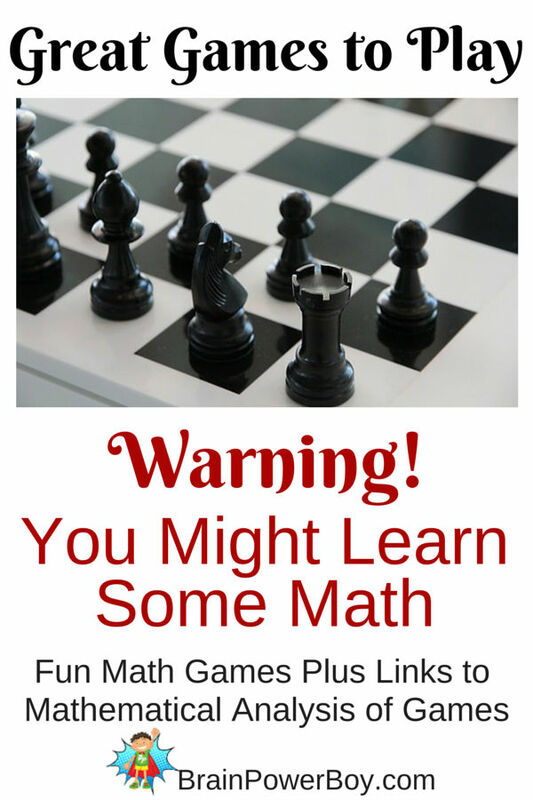 If you are looking for some math games to play, try out a few on our list. We will keep adding more games as we find ones that fit our criteria. Math skills are so important and we should really want our kids to feel comfortable with math . . . not hate math, like I, and many others did. For me, part of the issue was the way math was taught. Today there are aspects of math that I really enjoy. Many of the games that we use for math are classic games and not specifically designed to teach math. I am not a huge fan of educational games (many are sooo boring!) but prefer board games and card games, as well as some fun ideas I have run across over the years. Great Games to Play: Warning! You Might Learn Some Math. Classic board games that include ways to learn basic math skills, as well as mathematical analysis of some of the games which can be very interesting to older boys. 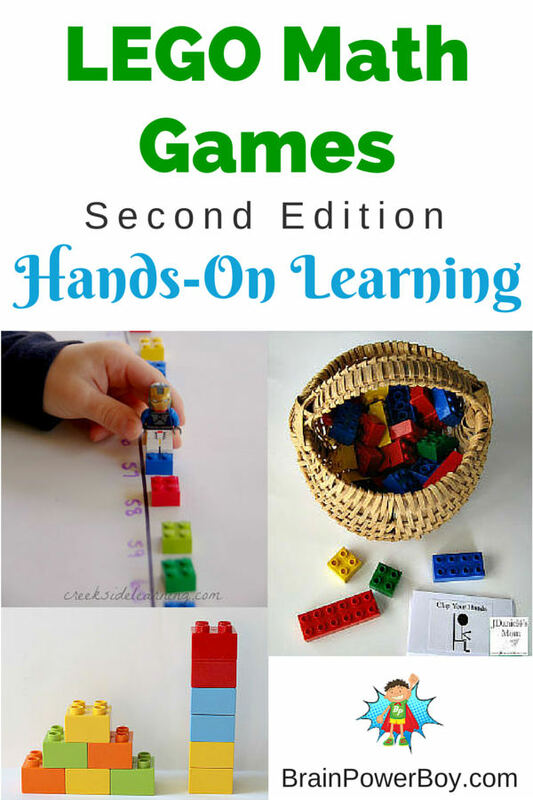 LEGO Learning Math Games includes LEGO-based math games for hands-on learning. There are quite a few choices so you are sure to find one that your boys will enjoy. 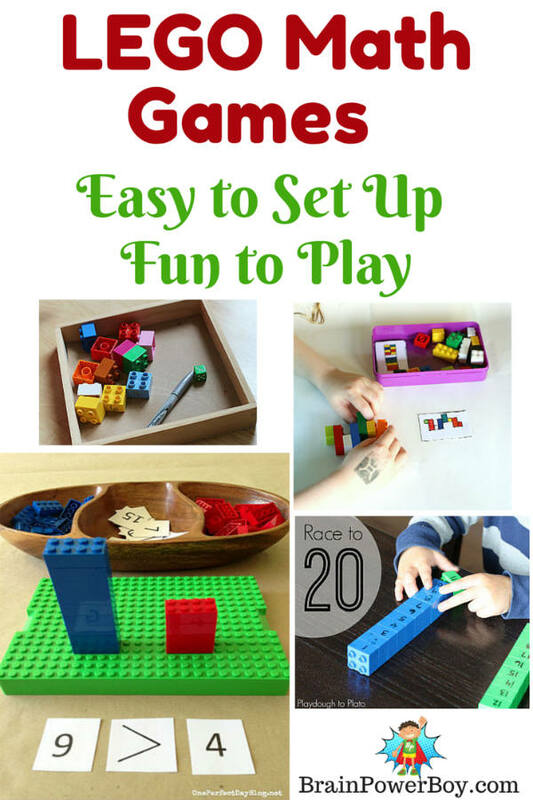 LEGO Learning Math Games 2 Part two features more really fun math games featuring LEGO! 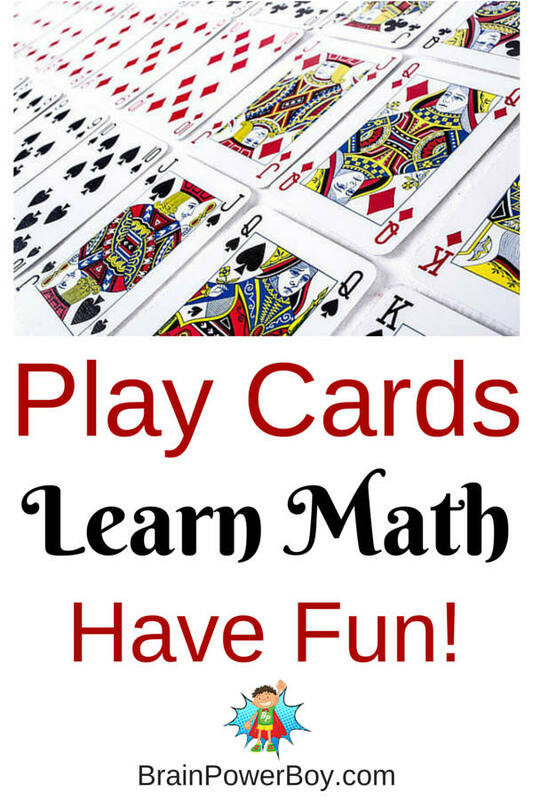 Play Cards, Learn Math, Have Fun. Card games of all sorts from 7 Ate 9, to many, many games that only take a deck of cards. 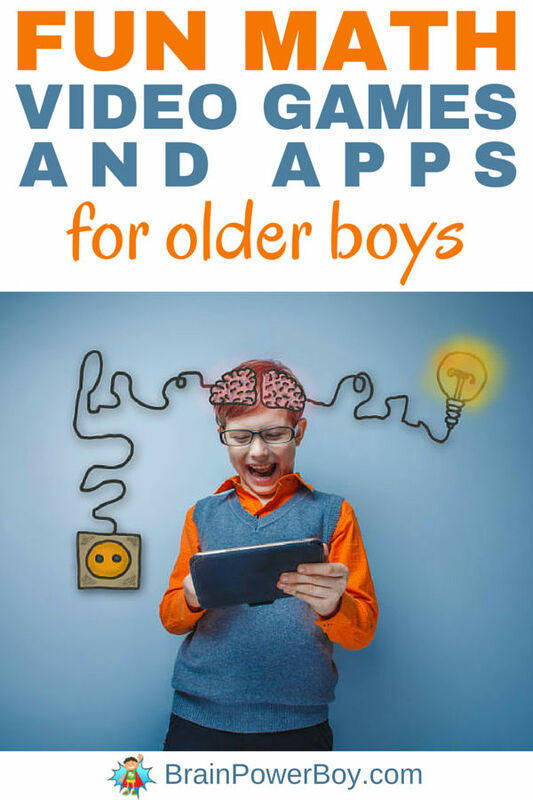 Fun Math Video Games and Apps for Older Boys. Let’s face it, boys like to be on screens. If you can be a bit flexible, they can actually learn quite quickly by playing these games. They are geared at about age 9 and up and all of them feature math. Take some time to find the games that your son really likes. If he doesn’t care for one–ditch it. We are not talking about forcing them to play math games but for them to enjoy playing around with math with some really fun math games. Baseball Math Books That Score a Home Run! Don’t miss a thing. Sign up for our Newsletter Now!